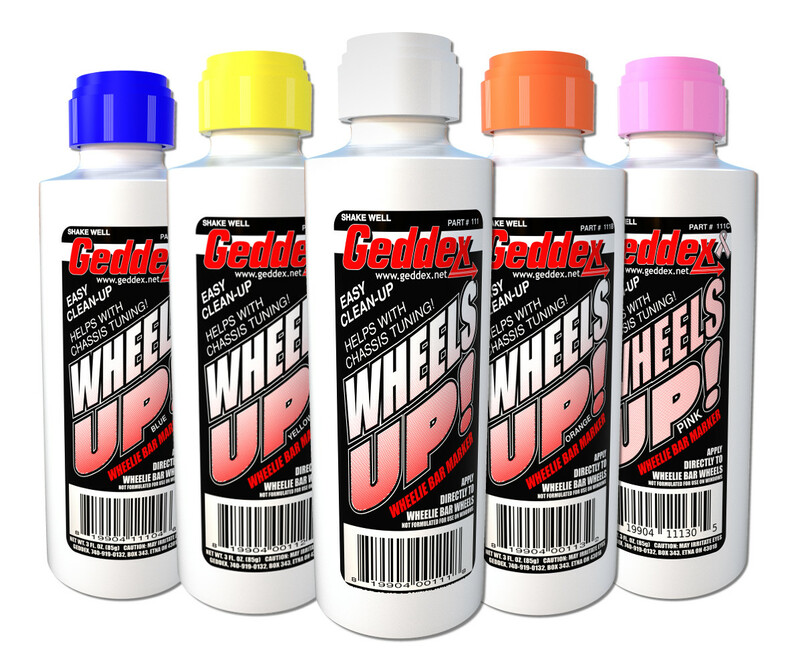 Geddex has developed a formula that leaves a bright solid mark on the track to help tune your chassis to perfection. Wheels Up transfers to the track surface easily, taking the guesswork out of chassis adjustment. 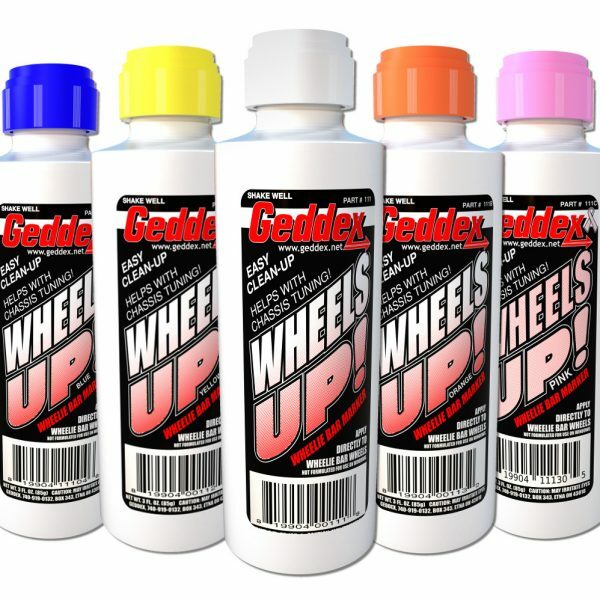 The special applicator assures the correct amount is applied to each wheel. Of course being from Geddex, you can expect easy clean up too!